Light up your look! 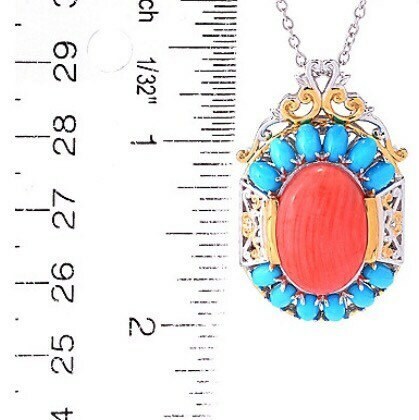 18 x 13mm Salmon Bamboo Coral & Sleeping Beauty Turquoise Two tone Sterling Palladium Necklace . 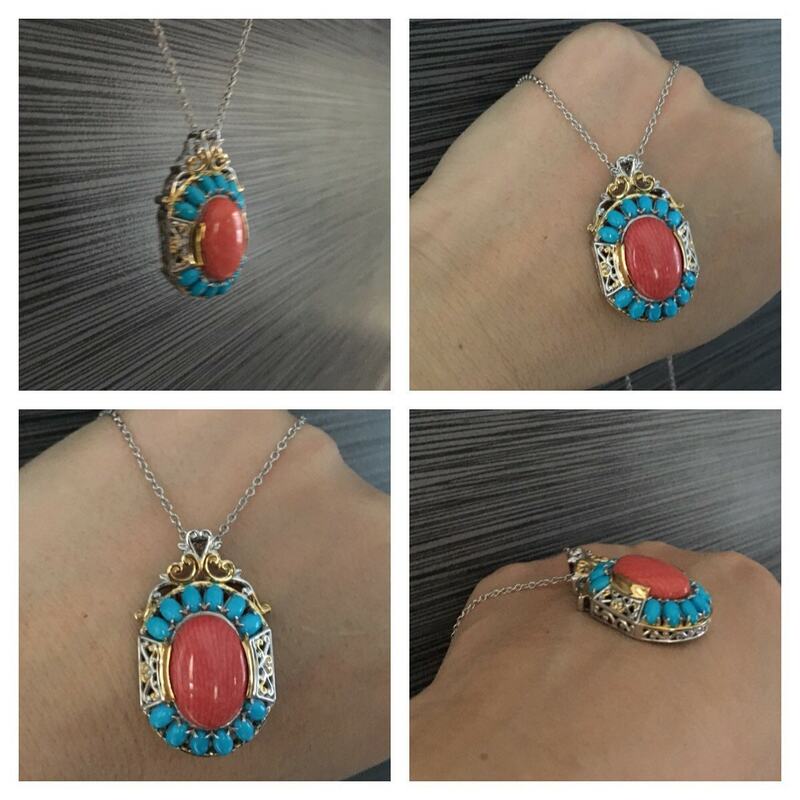 Light up your look with this pendant ! 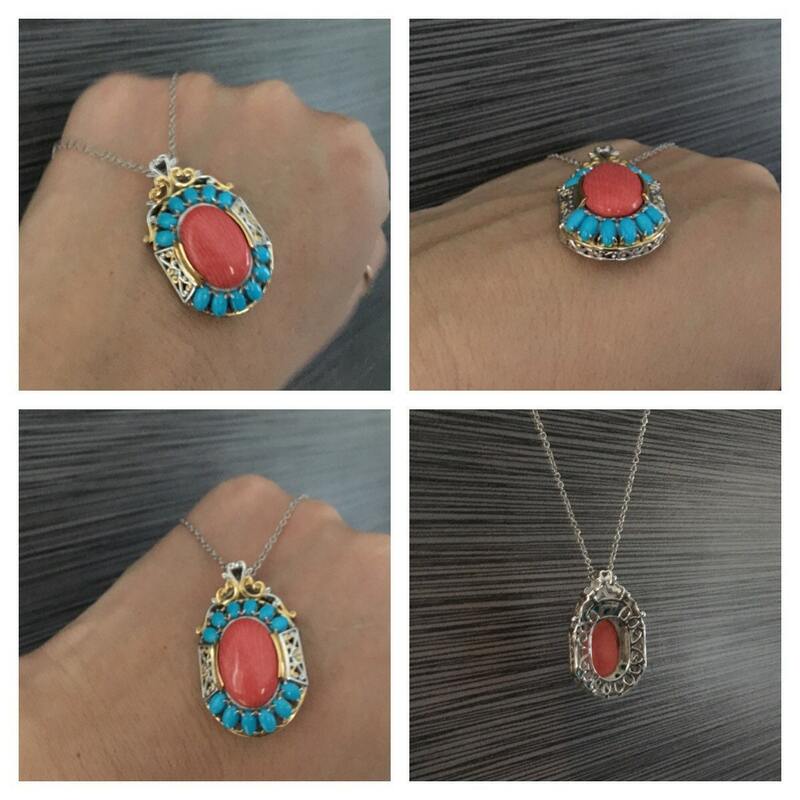 This piece features a bold, oval salmon bamboo coral in the center. 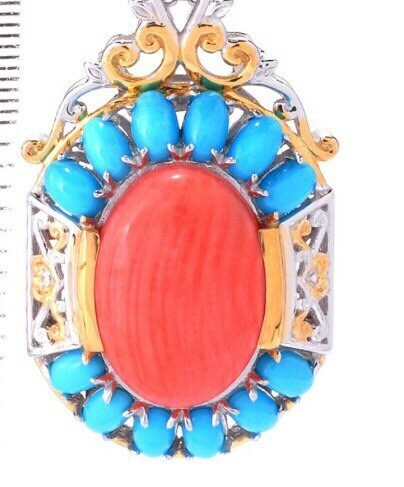 To the top and bottom of the center stone are two rows of six bright blue Sleeping Beauty turquoise stones. 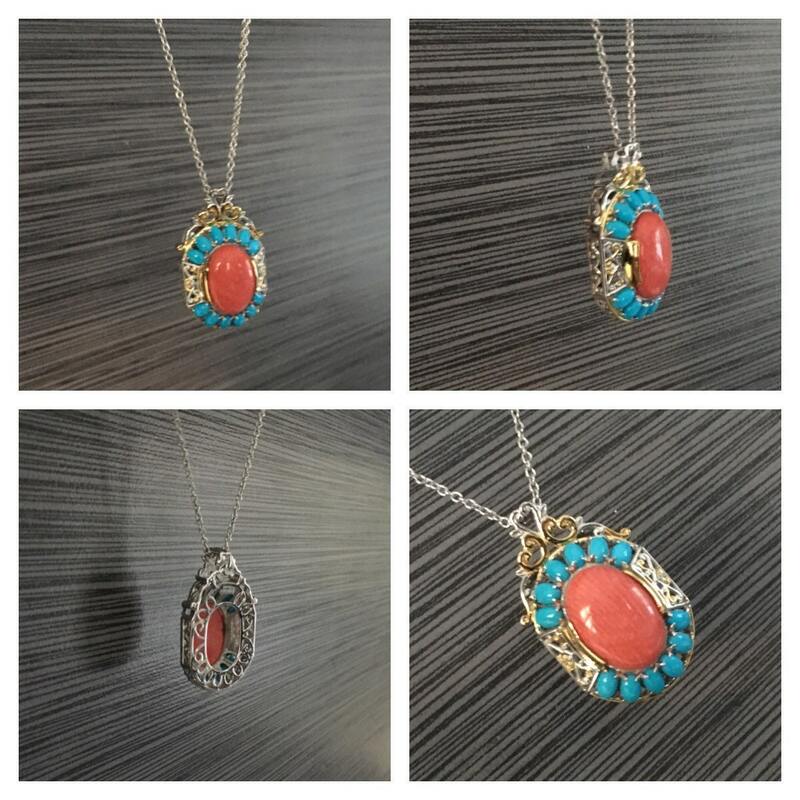 Two-toned scrollwork throughout the bail and sides adds eye-catching accents to this magnificent pendant. Dainty Dangles! 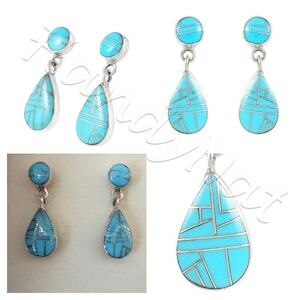 Sterling silver bazel set dangle turquoise earrings. Pure elegance! 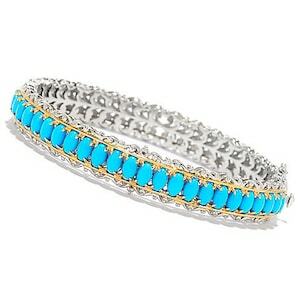 Sleeping Beauty Turquoise Hinged Two tone Sterling Palladium Bangle Bracelet. .
Classic blue for you! 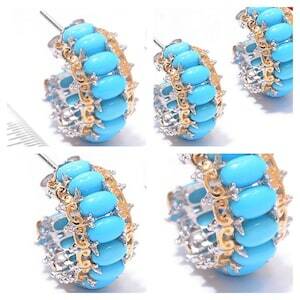 Oval Sleeping Beauty Turquoise Hoop Two Tone Sterling Silver Palladium Earrings. Dont sleep on this beauty ! 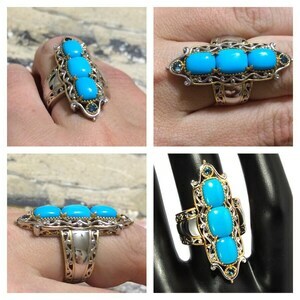 Sleeping Beauty Turquoise & London Blue Topaz Elongated Two tone Sterling Palladium Ring .